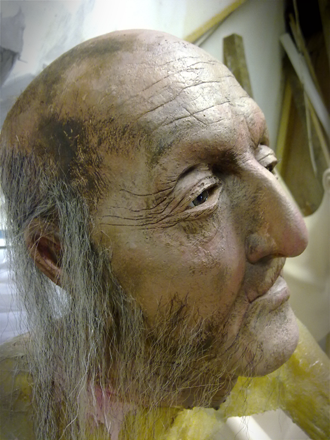 The Clink museum in London required some mannequin restoration and a new Gaoler figure. For the Gaoler we employed an actor and took a lifecast from his face. 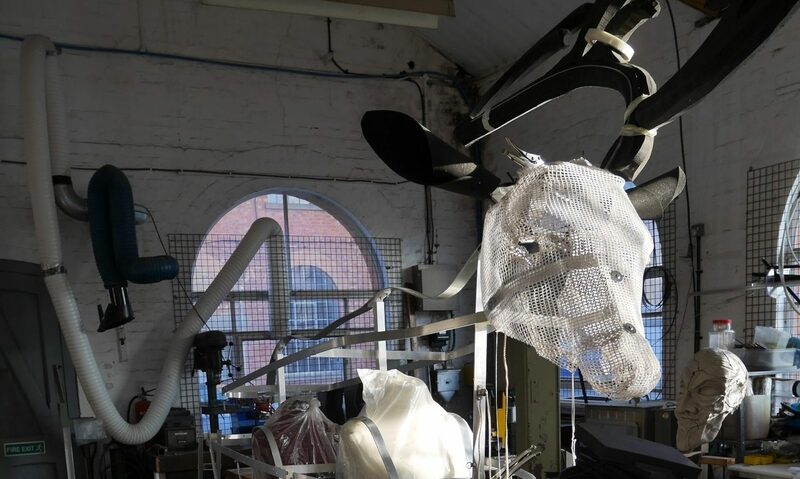 The face was then cast in plaster and the rest of the head and ears sculpted in clay. 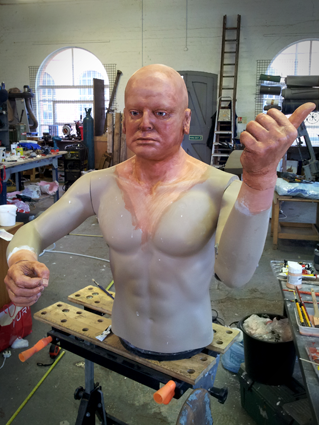 The complete head was then cast into fibreglass, detailed and painted. This was then mounted onto a mannequin body.